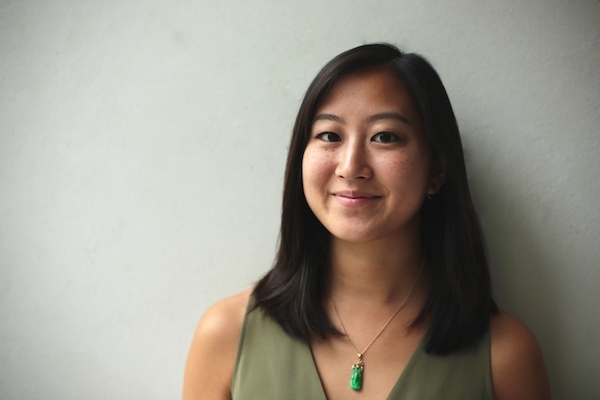 The UNCG School of Music is pleased to announce the appointment of pianist Annie Jeng to the School of Music faculty as Assistant Professor of Piano and Piano Pedagogy. Annie Jeng enjoys a diverse career as an internationally active performer, educator, and arts entrepreneur. She has performed widely in such settings as the Brancaleoni International Music Festival in Italy, the Gijón International Piano Festival in Spain, the Kennedy Center, University of Wisconsin-Madison, Interlochen Arts Academy, and has upcoming performances in Qingdao, China this summer. As a passionate champion of contemporary music, she has collaborated with ensembles such as Yarn/Wire, the International Contemporary Ensemble, and Roomful of Teeth. A Presser scholar, Annie has presented at Music Teachers National Association (MTNA) conferences at the national and collegiate level, and has previously taught at Schoolcraft College Piano Academy, The Faber Institute, and University of South Florida. Annie’s essential goal as an artist is to make communities richer and more meaningful through the arts. To this end, Annie strives to make music accessible to audiences of all backgrounds by expanding and rethinking the traditional recital format to include interdisciplinary and interactive elements, all with the aim of encouraging audiences to engage with the artistic experience. Her most recent project, “Music by the Barrel,” was a concert series at the Ann Arbor Distilling Company in Ann Arbor. She also leads music workshops through the Prison Creative Arts Project at University of Michigan. Much of Annie’s research is devoted to contemporary music and studying the pedagogical capabilities of contemporary piano techniques. In 2018, Annie received the Rackham Predoctoral Fellowship from the University of Michigan to create a pedagogical resource called Circles and Lines that will feature newly commissioned works by female composers that introduce unconventional piano techniques to intermediate pianists. She is also the founder and member of the piano and percussion duo, Back Pocket Duo, with Colin McCall. Their current tour titled “The Empathy Project” is an interactive performance that explores the connections between art and empathy with the hope of every audience member finding a stronger sense of empathetic connection with others in their individual worlds. Committed to supporting musicians in finding their unique career path, she also works as a Programming Assistant at University of Michigan’s Excellence in Entrepreneurship, Career Empowerment & Leadership (EXCEL) Lab. Annie received her MM in Piano Performance from the University of Michigan and her BM in Piano Performance with a minor in Public Health from New York University. She will receive her DMA in Piano Performance and Pedagogy from the University of Michigan in 2019. Her teachers include Logan Skelton, José Ramón Mendez, Miyoko Lotto, Anne-Marie McDermott, Faye Bonner, and John Ellis. This entry was posted in College of Visual and Performing Arts, School of Music. Bookmark the permalink.